The jazz band is a year-long or semester class, open to grades 10-12. The performing Jazz Band with full instrumentation will hold auditions after marching season. The jazz band plays for local functions and performs at the Percussion/Jazz Band concert in the spring. Membership is contingent on current membership in the band program (i.e. concert and marching band). 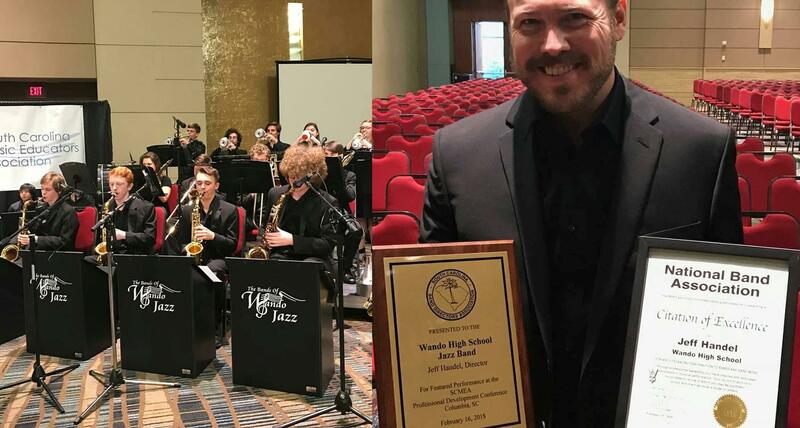 Jazz Band thrills members of SCMEA in Febrary 2018 with guest soloist Adam Rapa.